I am thinking of Jan'alai for now. If hand mage is a thing, then that 7 mana epic is also a consideration. Meh. I'm not very excited for it. It's a dead combo piece most of the time. Im torn beetwen playable and bad, because of jan'alai and such, but i think it will depend if the meta is either fast or slow. 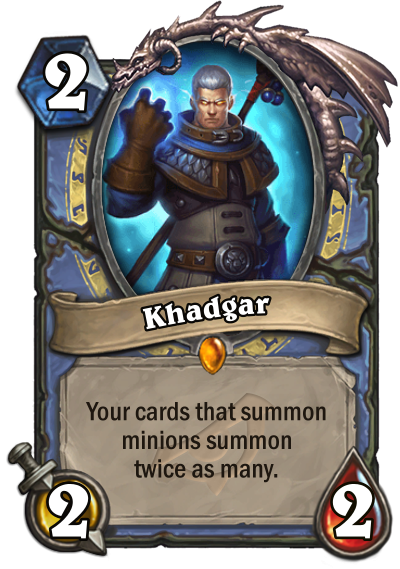 It is a fine card, but lore wise it is not powerfull enough to be Khadgar. We have yet another example, where there is a character as a hero skin and a minion. Talk about paradoxes, right, CheeseEtc? In Wild Jaina will summon x2 Water Elemental when kill a minion with hero power? No, because your Hero Power is not a card. How does he work with Dirty Rat and Saronite Taskmaster? Most of the time this will be "summon an extra ragnaros on turn 9 and die next turn", unless we get more cheap cards that summon minions. Love it! Gonna help with the unexpected results. I love the theme but it doesn't really fit Mage or Khadgar very well. Also, this isn't half bad. 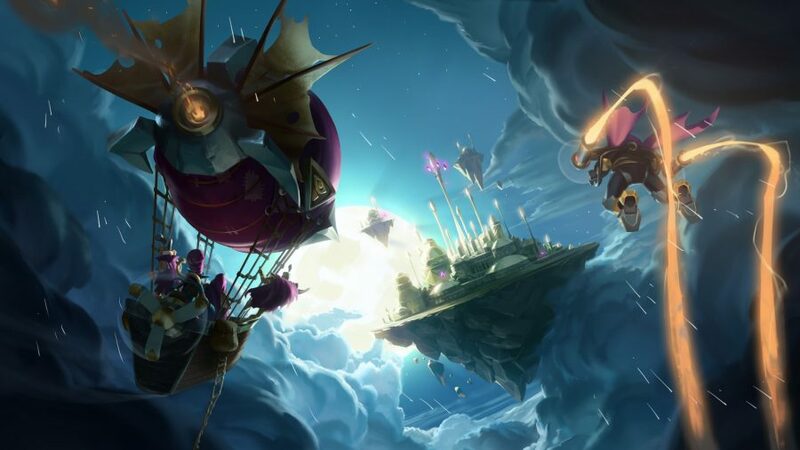 We have Astromancer, unexpected Results and probably something else I'm forgetting right now. Why not a control oriented (Hand-)Mage that excels at summoning big stuff later on while controlling the board early....also double Ragnaros. Don't forget, there are very few infinite Value cards out there anymore, so overwhelming people with big dudes is not that bad.